With the 2017/2018 season schedule due to be announced on 21 June, this now means any home games that had been planned before 26 August will be reversed if possible. The opposing team will have a right to decline the reversal if the proposal doesnÂ’t fit their plans, if this happens the match will be postponed until a later date. 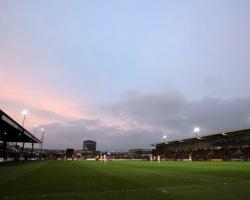 In addition the EFL has agreed that should Newport be drawn at home in Round One of the Carabao Cup they will automatically reverse the fixture to the other teams stadium. The new playing surface is being installed as a result of the Welsh Rugby UnionÂ’s takeover of Newport Gwent Dragons and the facilities at Rodney Parade. In the 2016/17 season there were three fixtures that had to either be abandoned or postponed due to the takeover.